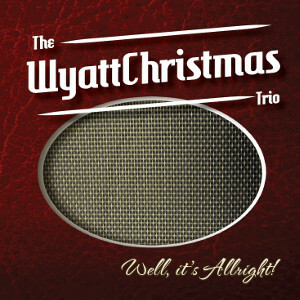 The WyattChristmas Trio with Ralf Exter (upright) and Lee Diefenbach (drums, backing vocals) was founded by singer, guitarist and songwriter Andy WyattChristmas. With that line-up they present their first longplayer with 13 almost exclusively own compositions. In a classic rockabilly setting, the band is a bit more than just jump blues and swing influences, a danceable, casual rocking beat is far more important than tempo and aggressiveness. The close proximity of the band to the Lindy Hop and Swingdance scene explains why the more energetic and more extravagant songs obey completely different laws than with many ordinary rockabilly bands. Danceability is a must, and as influences in songwriting, Andy WyattChristmas names such as Big Joe Turner or The Mills Brothers, who began their careers clearly before the fifties. With „Well, It’s Allright!“ the Cologne Band presents an unconventional album, which lives from the depth of his songs, the casual swing to the rhythm and the suffearious and glamorous vibe of his singer.